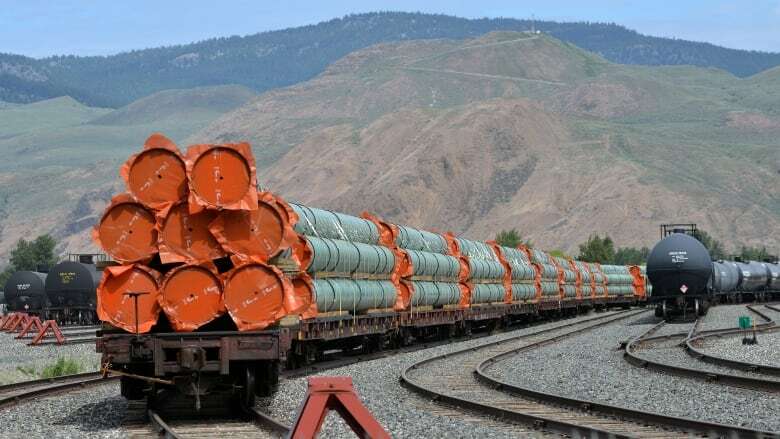 The Liberal government is instructing the federal pipeline regulator to review the Trans Mountain pipeline expansion to consider the project's impact on the marine environment. Natural Resources Minister Amarjeet Sohi said Friday the National Energy Board will have 22 weeks to hear from Canadians and report back to government. Sohi announced details of the government's next steps during a news conference in Halifax with Fisheries Minister Jonathan Wilkinson. He called the new NEB review a "very important step forward" but said word on new consultations with Indigenous people would come at a later date. Sohi insisted the expansion project is an investment in Canada's future, but that it must move ahead in the "right way." As more consultation with Indigenous people is critical to advancing the project, he said he could not put a timeline on when construction could actually begin again. "We are focused on getting this project right. We want to make sure that everything we do enables us to move forward on this project, which is very important project for Canada's economy," said Sohi. The minister said the government will outline plans for further consultation with Indigenous people in due course. Last month, the Federal Court of Appeal quashed the approval of the $7.4-billion pipeline project that would nearly triple the flow of oil from Alberta's oilsands to the West Coast. The court said Canada's efforts to meaningfully consult with Indigenous people, as required by law, fell short, and criticized the lack of attention given to how increased tanker traffic off the coast of British Columbia would affect the environment. Sohi said this review will consider the impact of increased tanker traffic on the resident killer whale population. The government will present the NEB with information about recent actions to protect species at risk and to implement the $1.5-billion Oceans Protection Plan. It also will appoint a special marine technical adviser to the NEB to ensure the regulator has the "expertise and capacity" to give the best advice to the government. The next stage of the project reboot will be to address the court's concerns about consultation with Indigenous people, and that will be announced shortly, he added. "Our government is committed to making sure that we engage with Indigenous peoples in a meaningful, two-way dialogue and explore opportunities for us to work together." Sohi said the government has not yet made a decision on whether to appeal the Federal Court of Appeal ruling to the Supreme Court of Canada. In a statement issued today, the NEB said it's "confident" it can complete the work within the required timeline, and will provide more information about next steps "in the coming days." Alberta Premier Rachel Notley said today she did not want to name a date when reconstruction must begin because putting a limit on consultation with Indigenous people would undermine the credibility of the process and give opponents ammunition to file a legal challenge. She said it's more important to have a clear process that people can understand and rely on, and warned that there should not be any slippage in the 22-week timeline for the NEB review. Alberta will keep the federal government's "feet to the fire" to ensure that deadline is met, Notley said. "At the end of the day, what matters most to our government, to workers, to employers, to investors ... is that there's a timeline that is credible that people can make plans on the basis of," she said. "That is what we need to have in place." B.C. Premier John Horgan said it's good news that there will be a review of the project's impact on the marine environment, but added it's too early to say if the process will be adequate. "Our marine environment is critically important to our economy," he said. "It's important to the very being of British Columbia and we had said all along that the federal government, the previous government and the current government, did not adequately measure the consequences of a diluted bitumen spill. This is an opportunity to do that." Conservative natural resources critic Shannon Stubbs accused the Liberals of dragging their feet and said today's announcement offers no assurance the pipeline expansion will ever get built. Three weeks after the federal appeal court's ruling, she said, the government has failed to provide a clear, comprehensive and concrete plan to ensure the project moves forward. "Today, there are no timelines for shovels in the ground," she said. "There is no timeline for completion, no timeline for jobs. Getting the Trans Mountain expansion built should be this government's top priority, but instead, the Liberals have spent $4.5 billion of Canadian taxpayers' money that will be invested in the U.S."
Stubbs said that, if elected, the Conservatives would bring pipeline proponents that have been vetoed back to the table, and create the conditions to ensure energy projects get off the ground. NDP MP Nathan Cullen said the Liberals are prolonging a process which already has determined that increased tanker traffic will harm endangered killer whales. "Doing the same thing and expecting different results is the definition of insanity," he said. Cullen also questioned the government's commitment to hearing from, and acting on, the concerns of Indigenous people. "You can't have meaningful consultations if you've already made up your minds," he said. "For them to go to Indigenous leaders in B.C. and say, 'We'd now like your opinion' is the opposite of meaningful. It's tokenism, it's paternalistic." The Union of B.C. Indian Chiefs (UBCIC) issued a statement calling on Prime Minister Justin Trudeau to kill the "ill-conceived and ill-fated project" and cancel the directive to reassess it. "The Trudeau government's fanatical determination to build this disastrous pipeline and tanker project is boorish and disheartening," said Grand Chief Stewart Phillip, president of the UBCIC. "It is clear that Indigenous and non-Indigenous peoples alike do not want this project built. Instead of continuing to waste more money, time and resources on this aberration, Mr. Trudeau needs to accept the public's rejection, as reified by the wisdom of the courts, to reject the project altogether." Other Indigenous groups, including some whose communities are located along the proposed pipeline route, are in favour of the development.